This lovely jacket has 100% genuine Sheepskin Leather. On the outer side of the coat it has a beautiful leather finish and on the inside there is a very smooth, supple and warm thick sheepskin wool which is 15mm thick. This is the best quality and thickest wool that our coats come with. A Lovely and beautifully cut and tailored coat manufactured in our own London Factory. It is made from supple Spanish Toscana which is through out the coat. The Coat has no pockets on the outside and all edges at the front and bottom are completely left natural to add to the equisite design. 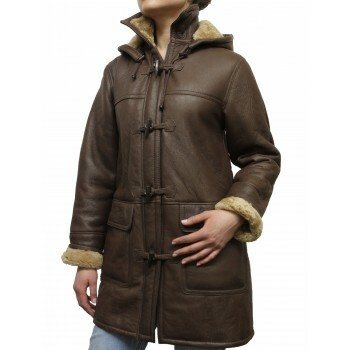 Women vintage shearling sheepskin with detachable hood crafted from original lamb's nappa. Luxurious and beautiful women's brown leather sheepskin jacket. This double breasted jacket has been seen all over the catwalks this season. The gorgeous jacket features thick inside wool and soft lamb nappa on the outer. 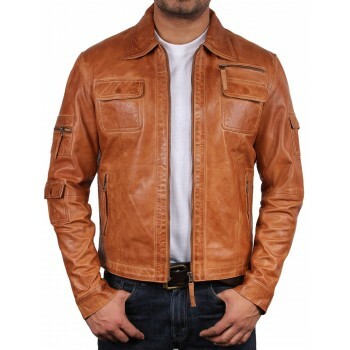 Men's leather biker jacket at its best with a lot of detailing through out the jacket for an extravagant feeling with reasonable price in a designer look.This Jacket has no boundaries, it provides comfort in any type of weather and work. A striking men's black leather biker jacket in fasinating grand dad color. Crafted with smooth lamb nappa with great detailing for an ideal designer look. 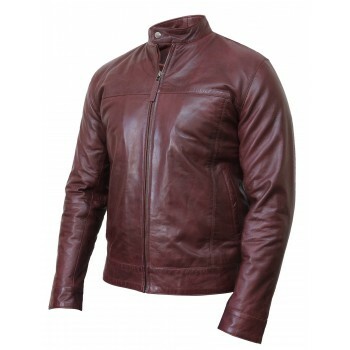 A striking men's burgundy leather biker jacket in fasinating grand dad color. Crafted with smooth lamb nappa with great detailing for an ideal designer look. 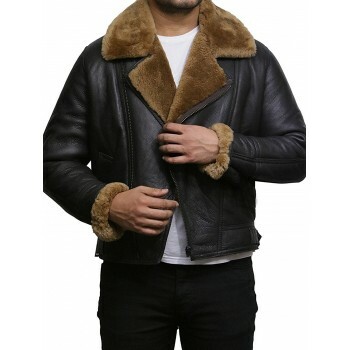 Classic elegantly style men's real Shearling Sheepskin Leather Cromby coat. 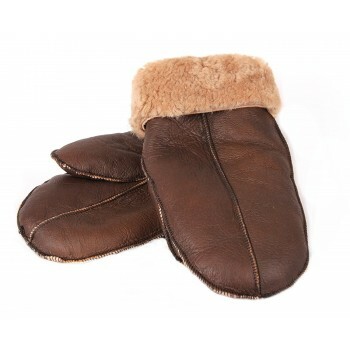 All expertly crafted in finest Shearling Sheepskin with sealed leather outer finish for easy-care and extra durability. Interior of the coat is full sheared natural Sheepskin wool. Beautiful weight making it a shear joy to wear and great for the cold weather. This lovely B3 jacket is 100% genuine full Sheepskin Leather. On the outer side of jacket it has beautiful leather finish and on the inner side there is a very smooth, supple and warm thick sheepskin wool which is 15mm thick. 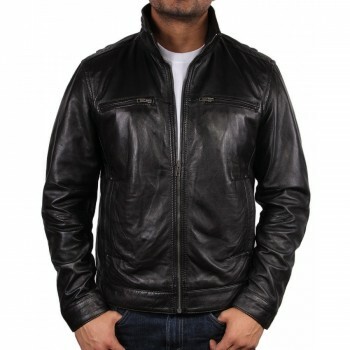 Men's leather biker jacket at its best with a lot of detailing throughout the jacket for an extravagant feeling with reasonable price in a designers look. This Jacket has no boundaries, it provides comfort in any type of weather and work. Excellent Fitted Design. Tailored fit. Made from genuine real soft lamb leather. A very good quality jacket which will fit nicely on any guy. Real leather ages beautifully with time. It takes on the character of the wearer. Natural leather is breathable so you won't feel sticky and suffocated as you do with PVC/Synthetic imitation. Latest style leather biker jacket in black with quilted stitch details on back shoulder and sleeves. Created with soft lamb nappa with antique design and quality finish. A beautifully cropped and shaped Gilet Waistcoat. 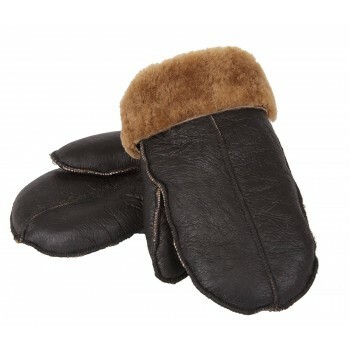 It is fully made from real Sheepskin leather. Amazing quality and feel, a perfect gift for someone very special or maybe a treat for your self. The skin is very nice and soft to touch. Why not treat yourself or someone special.